Burnley have taken up the option of extending midfielder Steven Defour's contract by a further 12 months. The Belgium international hasn't played since the end of January due to knee and calf injuries but returned to first-team training last week. Clarets manager Sean Dyche confirmed they activated a 12-month contract extension during the summer that keeps him at the club until 2020. 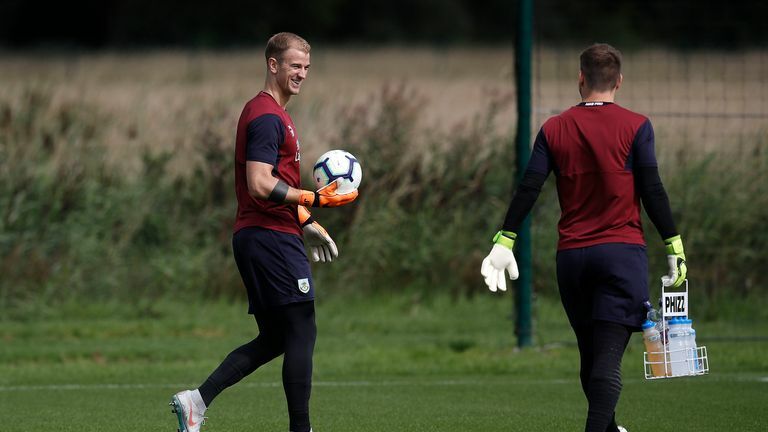 "He was injured at the time and we leave players alone when they're injured, so we didn't go out to the press and say he's here for another two years," said Dyche. "But he is, and there's no question in-house what we're talking about." He added: "Steven is doing really well. He's been training with us full-out for a week to 10 days, which is great, and he's looking well and feeling well. "He will start a games' programme next week if all goes to plan. He'll need at least a couple of games to build up to 90 minutes. It's like he's midway through a pre-season." Dyche confirmed Johann Gudmundsson and Stephen Ward are available for Sunday's trip to Wolves, live on Sky Sports Premier League. Robbie Brady is also back in training but summer signing Ben Gibson must see a specialist about a groin injury. Wolves have made impressive start to life back in the top flight, drawing with Manchester City and winning at West Ham in their last fixture, and Dyche admits it is not an ideal time to be visiting Molineux. 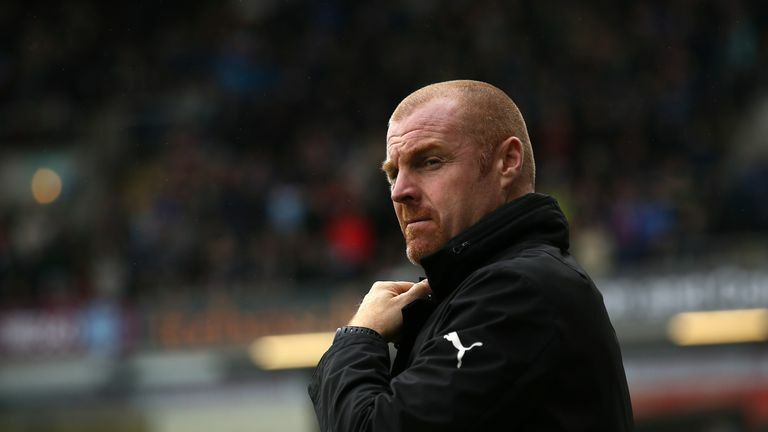 "They've gone very well," said Dyche, whose side have lost their last three Premier League games. "I was impressed with them last season. They invested wisely in some very good players and have added again this season, but have kept the core of players who got them to where they are. "They look like a good outfit to me. They've got a good mixture of some real talented players but also some good pace, and they have defended well so far this season. "Yet again it's another strong side who has come up and invested, which makes it an even bigger challenge. "But it's fair to say they're still new to [the Premier League] as well. It is different. The more games you play and experience you get, the novelty aspect can wear off. "It's hard playing these teams early because everyone is really up for it and there's that new feeling. As the season grows, certainly in my experience with our side, it gets different around the Christmas period. "Sometimes you can view it as a tough time to play these teams because it's a stage where they're really excited by it all, but we'll take on the challenge gladly."